In teaching the greatest sin is to be boring! 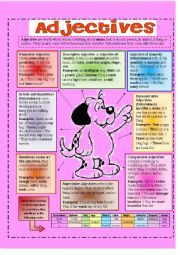 Here you are some adjectives types with short explanations and examples, also there´s a chart showing your SS how to place several adjectives together in a statement. Finally, there are some short activities they can do individually or in pairs. I hope you find it useful! Hi! Here you have a simple WS about time clauses used with the past tense. 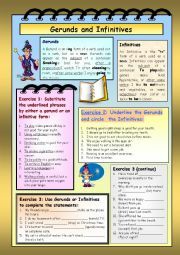 It includes brief info about the clauses and some examples. Key is also included. I hope it be useful. Have a nice weekend! Hi everybody! 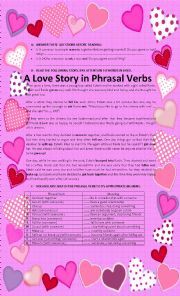 Here you are a simple activity to introduce phrasal verbs. 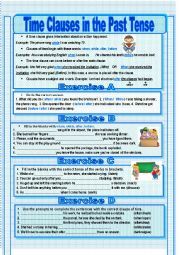 I got the idea from http://londonenglishclasses.blogspot.co.uk/ I hope it be useful. C u. 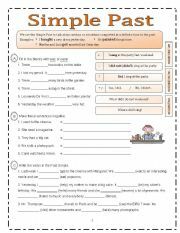 This WS is useful to review simple past of regular and irregular verbs together through activities commonly performed by teens. Introductory contents to the phonetic field. There is a localization part too. Brief introduction to the vowel sounds in American English. Three diphthongs are also included!